Derby County defender Ashley Cole has spoken out about his future at the East Midlands club, with his contract at Pride Park set to expire at the end of the season. The 38-year-old penned a deal until the end of the season when signing for the Rams on a free transfer in January, but has since struggled for game-time following his move to Derby. The experienced left-back has made just three league starts for Frank Lampard’s, but will have undoubtedly been offering some real leadership and knowhow in the dressing room to the younger players. 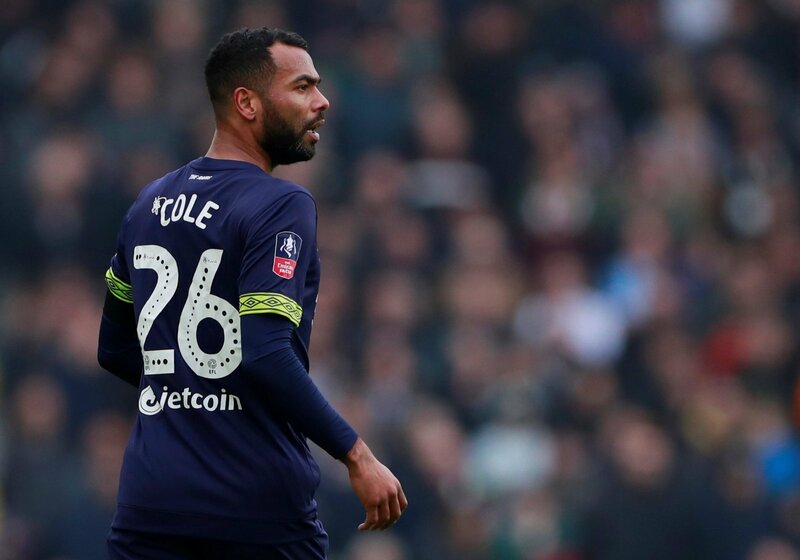 Speaking to Sky Sports News, via reports from the Derby Telegraph, about his future in the game, Cole admitted that he is unsure whether he’ll retire at the end of the campaign, or put pen to paper for yet another year. Lampard’s men are currently sitting within touching distance of the Sky Bet Championship play-off spots, ahead of a massively important few weeks for the club.The Rams lie 8th in the league standings, one point off the top six. Cole is a Premier League legend is arguably one of the best left-backs to grace the game, although I think he should be thinking of retiring soon. Of course, if he feels that he is still able to play for another year then so be it, but I think that if Derby want to be challenging to get into the Premier League, then they need a more younger, better option. If he is offered a deal that involves a coaching role, then this could be the best option for him.